We are committed to providing top quality training in a simple, easy-to-understand format designed to help you pass your certification exams and succeed in the real world. We provide complimentary career advising to help set you on the right path. 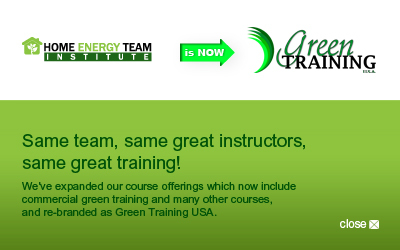 We provide all your green training in one place to help minimize overlap and save you time and money. We employ trainers across the country who are experts in their field and experienced in the contracting industry, engineering and training. We provide everything you need in one training package, including study guides, practice tests and exam fees. No hidden fees or surprises. Our courses are available in multiple formats, including online, where you can complete the training on your own schedule and at your own pace. We provide a wide range of courses to meet all your needs, whether you’re in the residential or commercial market, a contractor, building science professional or a manufacturer. 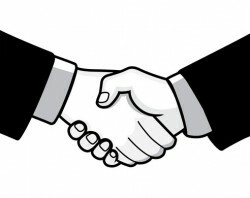 We provide resources to support you beyond your training, such as business strategies to help you succeed.